Well hello, September! I don’t know about you, but I’m certainly not procrastinating another four months before gearing up, mentally preparing and putting a plan in action that’ll give me nice headstart towards my 2018 fitness goals. 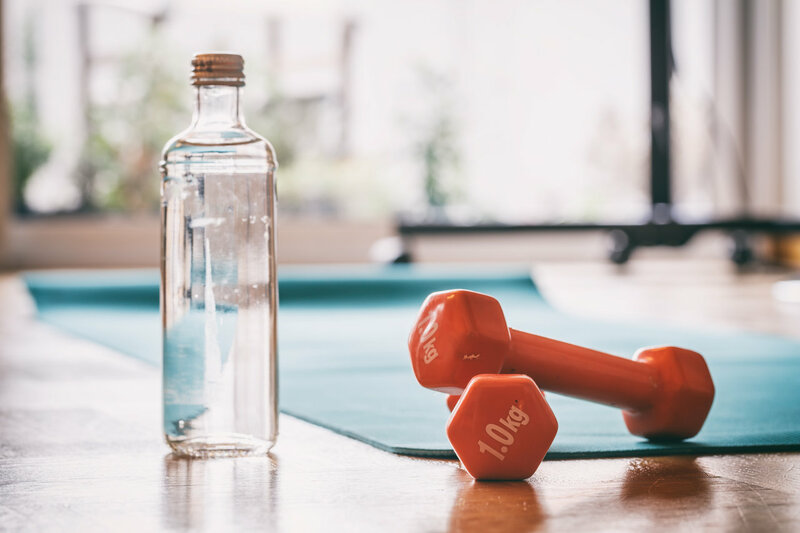 With the experiences we have under our belts, the knowledge we’ve gained and the rampant flow of food, health and wellness information I’m flat out of excuses to stepping it up with both my exercise routine and cutting back on my sugar intake. I already know, I’m going to need the extra energy and strength to lead me through accomplishing my 2018 goals. So, no better time to get it kicked off than now. Who has the leisure of waiting for 2018 to start working towards their goals? I’m convinced that by getting ahead of the holidays to jump-starting my new fitness goals, I’ll also feel much better about myself indulging over the next few months in my family’s down-home, too good to not enjoy southern cuisine. Today I spent some time thinking about and writing down three new fitness goals for myself. I want to drop my body mass index by 3% by the end of March, I want to get back into a weekly yoga class before January 1st and I’m going to sign up for a hip-hop dance class in January. All three very simple, actionable items I can start preparing for now (especially the 3% BMI drop). As you make your list, keep it manageable with three realistic action items with a correlating timetable of when you plan to accomplish your goals by. With the gameplan set as extra motivation, I caught up with a trainer with oodles of fitness inspiration, Sonia Trimble. “As a personal trainer, I’ve often witnessed that we become so focused on the work and worry of getting through the process of getting our health and fitness in order, we don’t always stop to fully envision what reaching our goals will completely be like. Even when we have our ‘eyes on the prize’, we don’t necessarily fully take in what that victory will feel and look like in our lives. What happens when we see incredible progress in our fitness goals? Who will we become when we succeed at doing what we never thought we’d be able to do with our body? What will it feel like to realize that our everyday behavior and a part of our mindset has progressed? How will we deal with who we were before we pushed through to success? When I wrote the fictional story of Whitney Cordona in my first book, Little Miss Healthy Pants FIT HAPPENS, I didn’t want to convey her story as a simple ‘She lost weight and now feels great’ narrative as it’s never that simple. The ups and downs (and often more downs than ups) can take an individual through complete highs and awful lows all in the same day. In this final excerpt of the novel, we take a look at Whitney’s celebration of her own personal job well done of losing the weight and feeling great although great is not the only thing she feels. May this facet of her story, although it’s not the end of it, bring us all hope and further clarity of what happens when FIT HAPPENS,” shared Sonia.